A short post, but the greatest computer ever built, the ZX Spectrum is 30 years old. Check it out! I've written about this machine before, and it's influence on me, but one can only truly understand its greatness in song. Yes, the graphics were not as spiffy as a PS3, and yes, games took forever to load (and there was the terror of tape loading errors), but you could program it in a real language (which let you play around with raw memory). For a certain generation, this song will bring a tear to your eye. And if you don't know who the disembodied head is singing later on in this song, shame on you, shame!!! Through him, and the spectrum, I feel I had a distinct advantage entering university and becoming an astrophysicist. Thank you, Clive. 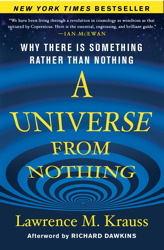 There has been some noise out there in the matrix about a recent book by Lawrence Krauss called "A Universe from Nothing". It has been seized upon by by the atheist community (and to lay my cards on the table, I am an atheist) as another nail in the coffin for the God Delusion. This has meant I've not had a lot of time to get a lot of research done, so I thought I would post a little lesson on relativity, namely what happens when you fall into a black hole. Not the painful bit where you get torn limb from limb, but what you see. I've worked on this in the past, but this post was sparked by this article, especially this statement. So, I was returning from a very busy and fruitful week in France. While there, I got to thinking about just how we do science. If you read textbooks (or, if there is nothing left on the shelf worth reading, philosophy) then you get told science is testing ideas and models with experimentation, and then reworking your ideas in light of new evidence. The problem is that this viewpoint, however, is that it is too clean, to clinical, too robotic. 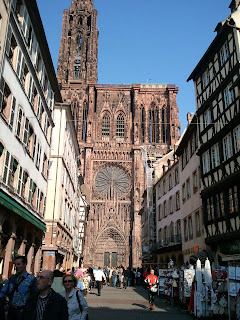 But let's start with the environment, the beautiful city of Strasbourg, in Alsace, France. It is home to the very impressive Strasbourg Cathedral, which, between the years of 1647 to 1874 was the tallest building in the world.